It was the cover of this book, These Circuses That Sweep Through The Landscapes that attracted me most to the story. A picture is worth a thousand words and Tejaswini got it right. The cover just tempts and teases of the good things to come within the covers. I do enjoy the short read since I can read so many different stories in less time. I enjoyed Knitted Tales, Rukhsat and Eating Robots earlier in the short format. These Circuses That Sweep Through The Landscapes has ten stories and all of them are as different as can be. That does not stop them from entertaining thoroughly. Homo Coleoptera with its fascination for bugs and how not to wish evil for others ended perfectly. Thank God for Star Trek was an unsettling read with the young girl and her mom but such truths exist. The Mall was giving me goosebumps as I read it— what if it was I stuck there. Scary indeed but can be true one day with our endless shopping trips. The Girl Who Loved Dean Martin was a sublime love story but with an edge of madness or was it fangirling? Cotton again was a bit disturbing, I read passages twice just to understand the depth of meaning conveyed. The House on the Hill was not just about the house as I initially thought and the author turned the story it became about the little girl. From her eyes and the master, what they thought and felt—powerful feelings and innocence as well. Drinks at Seven is about a couple and their friends, our lives that make us too busy or blind to see what lies in front of us. Marriage is not easy. Another story on the theme of marriage, Sandalwood was any mother or wives’ worst reality especially one dedicated to her family. I liked the daring of the mother and the hopelessness she portrayed. The selfish family members and Chandan who had the last word. Mili was about an unrequited love, about love being love only when it is convenient. A second look at first love. Moreover, the title story, These Circuses That Sweep Through The Landscapes was a bit slow paced and until I had read the last line I did not get its connection to the story. A masterstroke indeed. I felt so good after reading these short stories, a well-written book with stories that explored the layers of human emotions. They made me think and wonder about life around me. Exactly what a good book does. Highly recommend it but the stories can unsettle a few. A fanatical collector of beetles finds out too late where his passion has led him. A woman out on a shopping spree in a glitzy mall finds she can’t go home again. A servant girl experiences a cruel loss of innocence when she eats something that wasn’t meant for her. In the sweltering heat of Bombay, a schoolgirl finds the ground slipping beneath her feet except when she’s watching Star Trek. Four friends meet for drinks one evening, only to find that their friendship is not what it seems. And, in the extraordinary title story, a student who has worshipped his teacher for decades comes to a terrible realization about him. Meanwhile, his old mentor is planning a cunning legacy of his own. 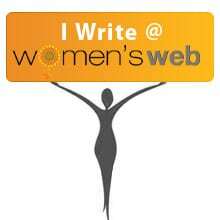 Tejaswini Apte-Rahm is a writer from Mumbai who has lived in Serbia, Israel, Cambodia, Thailand, Myanmar and Bangladesh. She studied in Singapore and the UK and worked as an environmental researcher for ten years. Tejaswini was a journalist in Mumbai and has written for Screen, Hindustan Times, the Times of India and Asian Age. She currently lives in London and is a full-time writer.